Not many artists have a successful career that spans 25 years. But Vicki Shepard is not your average artist. Nineteen commercial single releases, Twelve of which hit #1 on club charts in more than 20 countries including the US, UK, Germany, Italy and Japan, while the others went Top 10. And 5 of those #1 hits were just in 1990/1991 alone. Two Greatest Hits albums, several Jazz, blues and holiday releases, and a #1 Holiday Single on the iTunes Holiday Singles charts. So it’s only fitting that after 25 years, a proper Vicki Shepard Anthology Album gets released. 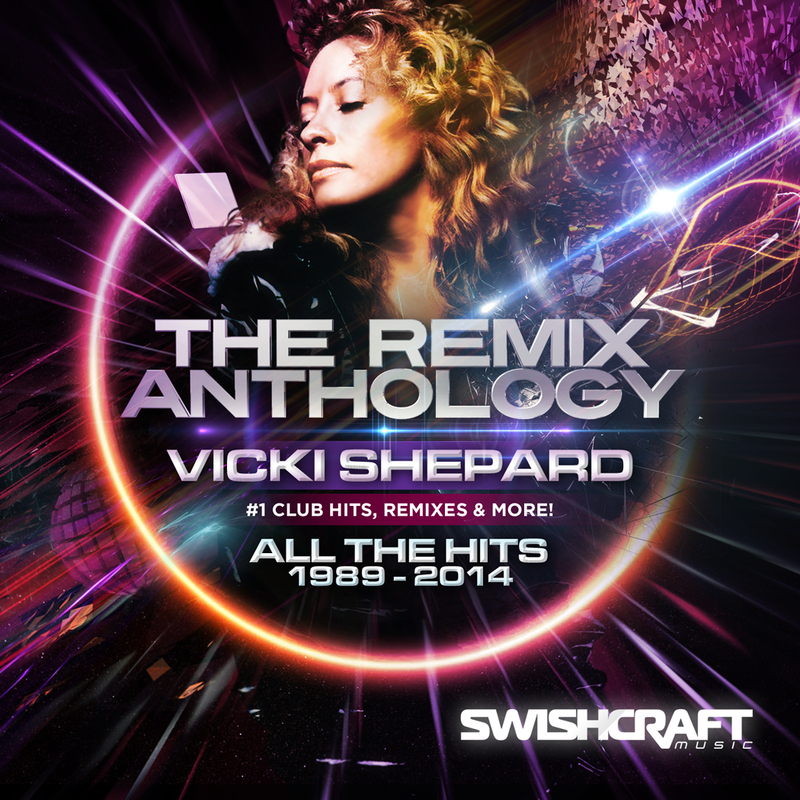 Thirty-Six (36) tracks in all, Vicki Shepard – The Remix Anthology Edition for the first time, features every full length commercial Dance, Jazz and Holiday club release or single. These include a handful of early club releases only every released on vinyl, and offered here in remastered digital format for the first time. In addition to each Original 12” Mix, many DJ only promo mixes of each release are also being presented, many also for the first time in digital format. From her debut of “Somewhere” at the closing night of The Saint in New York City to her most recent club release ‘When Love Comes Calling” this is the definitive collection for fans and followers. The album also includes a special 2014 “Sunrise At The Saint” mix of “Somewhere” to kick off the album. Produced by Paul Goodyear, this 2014 ballad mix uses the original vocal and pays homage to the debut of Vicki Shepard at the final night of New York’s famed Saint. The proceeding 34 tracks are in order of release from 1989 through 2014, and the album concluded with a rare 1999 demo of “When Love Comes Calling” that eventually became the foundation for Vicki’s 2014 release. To herald the release of the 36 track Vicki Shepard – The Remix Anthology, a special EP called The Classic Hits Remixed presents new remixes of classic #1 club hits. Working from the original vocals, Five of Vicki’s biggest hits have been remixed by Paul Goodyear, Jose Spinnin’ Cortes & Chris Stutz, Cristian Poow, Big Kid & Brian Cua and Liam Keegan.